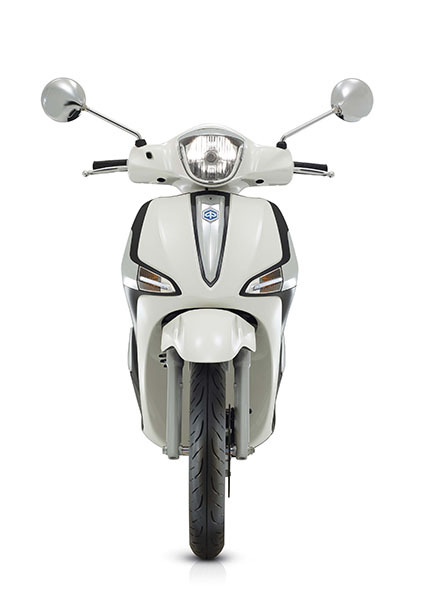 After 18 years of success and nearly 900,000 vehicles sold worldwide, the New Piaggio Liberty returns to North America. This family of vehicles starts with a great idea, a lightweight, low seat height, fun scooter with large wheels. The lightweight and low seat height make this scooter easy to use, the fun factor begs you to find excuses to take it out for a ride, the large wheels make it exceptionally stable and forgiving for experienced and novice riders alike. This high-performing scooter that epitomizes the contemporary easy chic spirit. 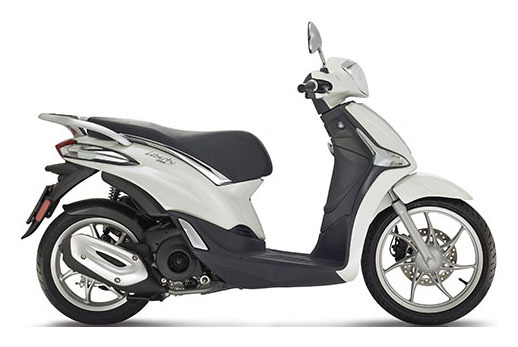 The design combines with the highest safety and technology standards, including ABS braking as standard on the 150cc and the new i-get engine family. 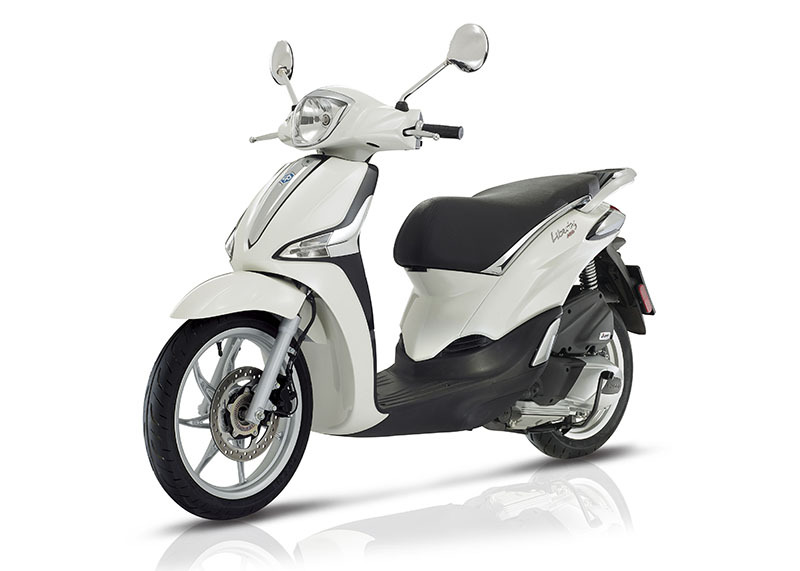 The elegant and curvy lines of the new Piaggio Liberty are embellished with black finishes and LED front lights to really stand out on crowded city streets. The electrically unlocked seat has sufficient space for a jet helmet with visor and there’s also a glove box in front of the rider’s legs, while the analogue speedo with digital fuel and distance readouts give at-a-glance information to ease every journey. ABS and LED lighting on the 150cc model. Shares the high tech display found the current generation of Vespas. 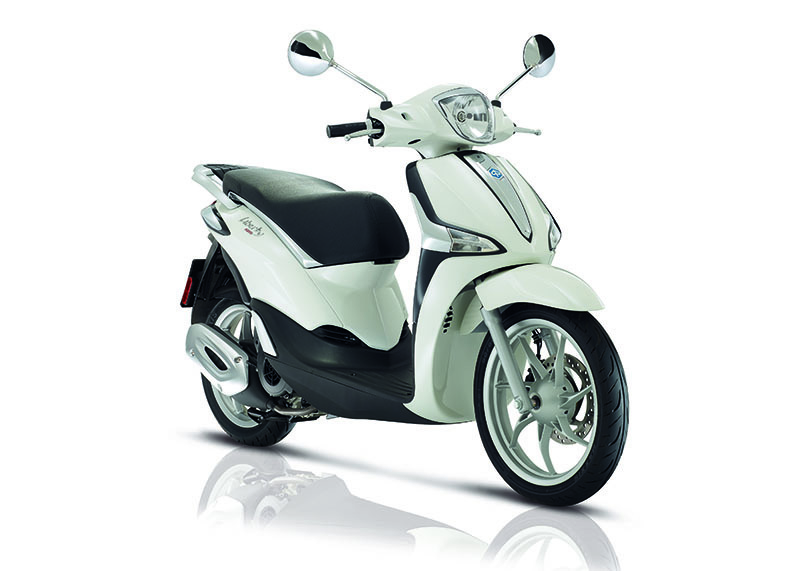 Most scooters have small wheels, the Liberty has a 16” front and 14” rear offering a more stable “motorcycle” feel. Front - Tubeless 90/80 – 16 in. Rear - Tubeless 100/80-14 in.